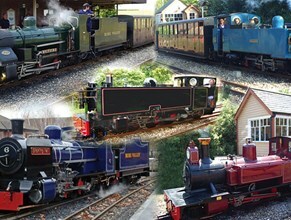 The railway is owned by a small group of enthusiasts and is operated entirely on a not for profit basis, with any profits being reinvested. The railway's success over the years is a credit to the team of volunteers who help out on a regular and irregular basis, alongside the railway's own paid staff. Volunteering for the Bure Valley Railway is a great way to get involved with the local community, make new friends and learn new skills. Our friendly team always have a warm welcome for new faces and there is a myriad of tasks and opportunities that you can help us with, both railway and non railway related. Whether you are male or female and over the age of 18 and you have a couple of hours to spare or can make a more regular commitment, we would welcome your help. Our Volunteer Co-ordinator would be happy to meet with you and discuss what opportunities the railway has to offer. If you feel volunteering is not for you but would like to support the railway in some way, why not join the railway's supporters organisation?